Thank you from all of us! 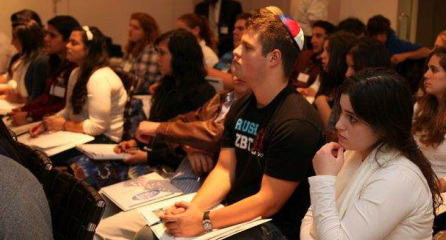 We are privileged and excited to be able to serve the entire Jewish population at Case Western Reserve University. It’s been just a short time since we arrived and we’ve seen so much interest and growth. What’s unique about Chabad is the atmosphere of absolute, non-judgmental acceptance. It brings together Jews from all backgrounds and styles of observance (and non-observance) to learn and experience their heritage. All who walk through our doors feel the warmth, the love, and the joy of Judaism. Your tax deductible contribution will help us enhance our programs, and make this exciting option of Jewish life accessible to every Jewish student, graduate student and faculty member at Case Western Reserve University.